Most of our donors contribute directly to our organization and work with us when planning bequeaths through life insurance, retirement, or estate planning. If you prefer, another way to help is by designating Partnership With Native Americans (pwna) as a charity you want to support through a donor-advised fund. 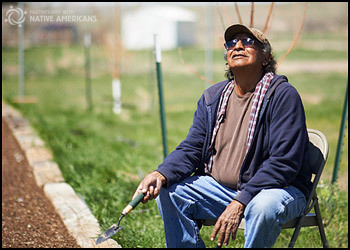 Partnership With Native Americans works directly with community-based agencies on the reservations. Our partnerships ensure that we are providing the right kind of support — food, health, education or housing related. We work on the ground throughout the year to help close the gap on the pervasive needs of these hardworking communities in tough circumstances. You can designate Partnership With Native Americans as a beneficiary of an existing donor-advised fund. You can control the size of your gift or the portion of your DAF designated for pwna.